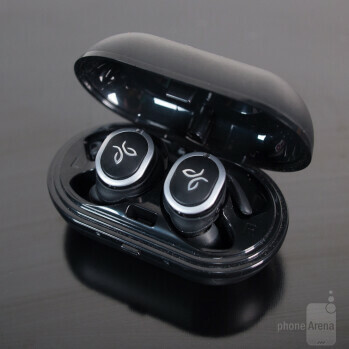 Jaybird might still be considered a relatively fresh face in the Bluetooth headphones market, having been founded back in 2006, but the company has seen considerable gains in the last several years thanks to its well-received performance styled Bluetooth headphones. Fitness and sports enthusiasts have gobbled up its line of wireless headphones, and now, it seems like the time is ripe for them to make their entrance into the truly wireless space. 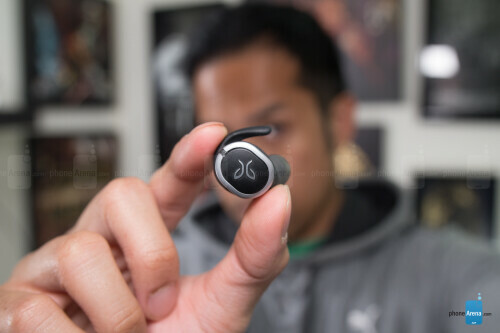 That's where the Jaybird Run headphones comes to mind, as they ditch the wire completely that has typically tethered its products together, in favor of a truly wireless solution. Given the heated competition that's been going on of late in this area, will they have what it takes to stand tall amongst the masses? The Jaybird Run headphones don't stray too far from the signature designs we've seen in previous Jaybird headphones. Gone is the wire that has traditionally kept its various earbuds connected to one another, replaced instead with two independent earbuds that "talk" to one another wirelessly. Styled in the same familiar manner with its winged tips, they ensure that the earbuds don't come out even during the most intense workouts. And we'll certainly agree to that, as the snug fit remains even when moving around vigorously! With fitness and workout enthusiats in mind, the Jaybird Run headphones feature a sweat-proof coating and water-resistance, which is more than enough to get through the sweatiest workout regimens. Quite honestly, too, they're one of the few pair of headphones we've tried out in the last several months that don't slide out or move when moisture starts building up in the ear. On top of that, we never felt any discomfort wearing them – even during prolonged use after an hour, they still felt good! 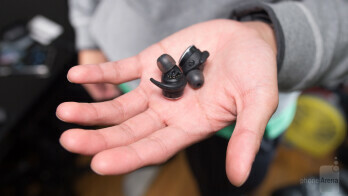 Included with the Jaybird Run is the accompanying charging case, which doubles as both the protective case for the headphones and the way they're charged. The pill shaped cage accommodates the earbuds and actively charges them automatically. On the back of the case, we find a microUSB port that allows us to charge the battery case when it's depleted. Compared to the other battery charging cases, this one is quite basic because it does nothing more than act as the charger and storage for the headphones. In contrast, we've come across others that feature full-sized USB ports, which makes them double as battery packs to charge other devices – like your smartphone for instance. 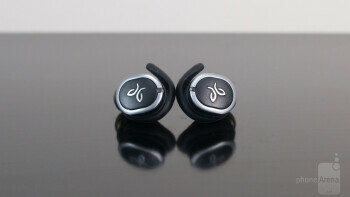 When setting up the Jaybird Run headphones for the first time, they automatically go into pairing mode out of the box. 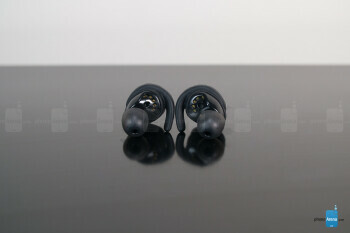 However, placing them into pairing mode can be simply done by long pressing on the multi-function button on the right earbud, which is considered the "master" one. It's accompanied with the built-in LED light continuously blinking, so you know that it's in pairing mode. One of the Jaybird Run's more underrated features has to be its customizable equalizer profiles courtesy of the Jaybird app. It's the very same one that we've been acquainted with before on other Jaybird headphones, so we're extremely happy to see that it's available here as well. Unlike other truly wireless headphones that offer only a single sound profile, you can download preset ones or even customize one yourself to your liking using the app. This is huge because people have different tastes in what kind of sound they associate as pleasant. Therefore, if you're the kind that favors bass heavy sounding, you might be inclined to focus on the lows. 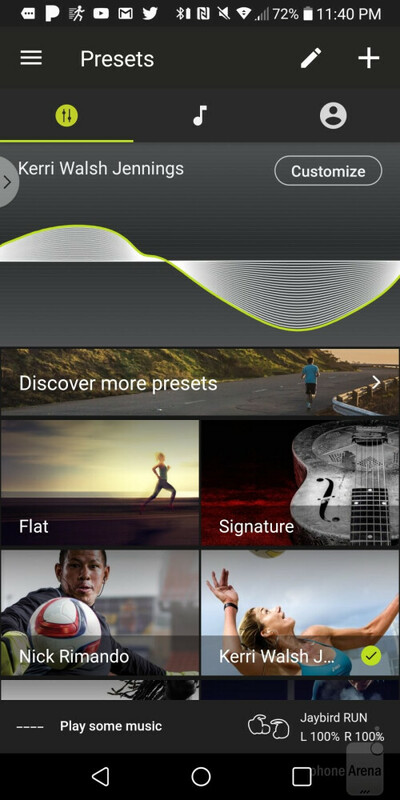 Or alternatively, if you prefer a wider-sound as opposed to a narrower one, you can choose to have that through the app. Needless to say, it's incredibly powerful because you can achieve a sound profile that's configured to your specific liking – rather than living with what the manufacturer preset. 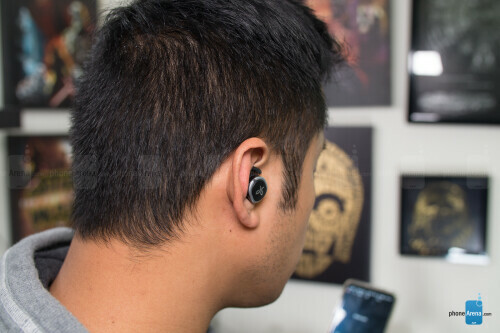 As we've mentioned already, the right earbud is regarded as the "master" or primary one, so it requires this sort of direct line of sight to your connected device. Utilizing Bluetooth 4.1 technology, we did experience some brief connectivity issues when the headphones first connect to our mobile device. Thankfully, once the connection is established, it's rarely an occurrence during our usage – it's only evident whenever we turn them on and initially establishing the connection. In open spaces, we're able to retain a connection upwards around 25 feet, while indoors that drops down to roughly 20 feet due to the walls. Still, it's well within the same range as other true wireless headphones we've checked out of late. Luckily, we have some controls at our disposal on the earbuds themselves, instead of not having any and simply relying on our mobile device. 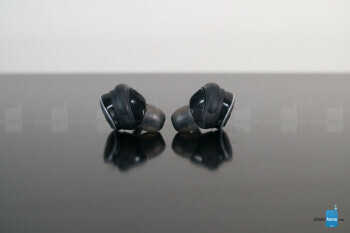 There's a sizeable, yet springy button on the outer edge of each earbud that accomplishes a couple of things. Now, there are technically two different set of controls – so you'll have to choose which is of them is the best fit for you. 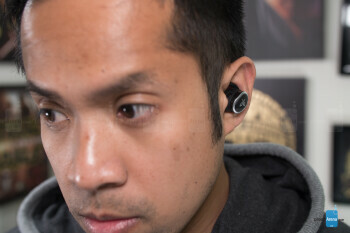 One set of controls has Google Assistant being initiated by pressing the button on the left earbud, while the right acts as the pause/play and accept/end call functions. Alternatively, the other set of controls simply has the left decreasing the volume, while the right increases it and acts as the accept/end call function. Unfortunately, it would've been nice if it were possible to customize the controls, but there's not. 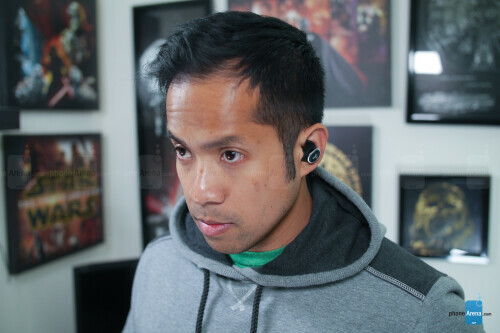 Peeking at its compact size, most people wouldn't think for a moment that these miniscule earbuds would pack anything substantial in terms of audio quality. You know what, though? They do, more so than the majority out there, which is impressive to say the least. In addition to the ample volume tones put out by the 6mm drivers, the Jaybird Run headphones really shine thanks in part to the customizable equalizer settings. This is what sets them apart from the pack, since the audio quality can be tuned to your liking. 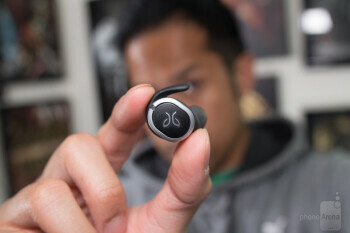 Backed by some rich and robust tones, the Jaybird Run headphones are in a class of their own. 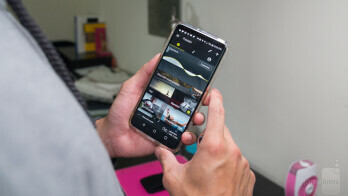 Complementing the superb audio quality is the long battery life too! You'll probably be pleased by the Jaybird Run’s longevity. In our testing, the earbuds easily reach 3.5 hours of battery life from a full charge – and that's made better by the charging case's rating of adding another 8 hours on top of that. It's just satisfying to know that they offer more than enough juice through power us through workout sessions easily lasting over 3 hours. 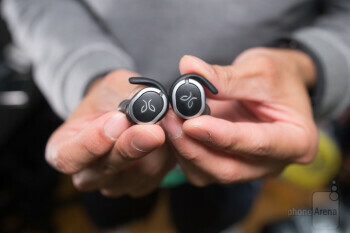 Staring into the $179.99 cost of the Jaybird Run headphones, it's undeniably on the pricey side – arguably more than what most consumers would be comfortable to dish out for a pair of tiny-sized earbuds. Nevertheless, we feel as though that the pricing is indicative of its collective features and strong performance. Sure, you can go cheap and find something under the $100 range, but they can't compare to features like customizable sound profiles, extensive battery life, superb audio quality, and snug fit, which the Jaybird run offers. If you've been waiting for a solid pair of truly wireless headphones, this is what you've been waiting for. You'll just have to endure the premium cost, of course, but we're confident that you won't be disappointed by the decision.